Or, get it for 12400 Kobo Super Points! Demonstrating that similarities between Jewish and Christian art in the Middle Ages were more than coincidental, Cultural Exchange meticulously combines a wide range of sources to show how Jews and Christians exchanged artistic and material culture. 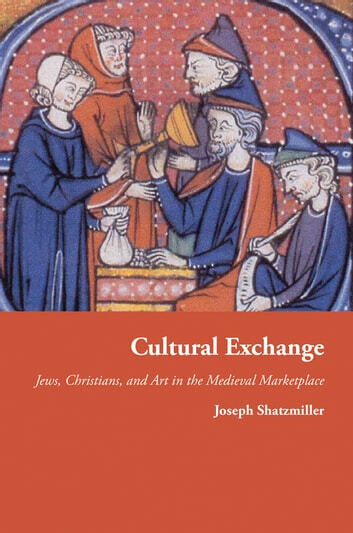 Joseph Shatzmiller focuses on communities in northern Europe, Iberia, and other Mediterranean societies where Jews and Christians coexisted for centuries, and he synthesizes the most current research to describe the daily encounters that enabled both societies to appreciate common artistic values. Detailing the transmission of cultural sensibilities in the medieval money market and the world of Jewish money lenders, this book examines objects pawned by peasants and humble citizens, sacred relics exchanged by the clergy as security for loans, and aesthetic goods given up by the Christian well-to-do who required financial assistance. The work also explores frescoes and decorations likely painted by non-Jews in medieval and early modern Jewish homes located in Germanic lands, and the ways in which Jews hired Christian artists and craftsmen to decorate Hebrew prayer books and create liturgical objects. Conversely, Christians frequently hired Jewish craftsmen to produce liturgical objects used in Christian churches. With rich archival documentation, Cultural Exchange sheds light on the social and economic history of the creation of Jewish and Christian art, and expands the general understanding of cultural exchange in brand-new ways. Some images inside the book are unavailable due to digital copyright restrictions.